Our expert Heating repair services are just a call away! Our service vehicles are always fully stocked with the parts you need to get your Heating system back up and running. You can also reach us at night, during the weekends or on holidays! Your Home HVAC Heating Repair Specialists. We know that it’s never a convenient time for your Heating system to fail. That’s why our service technicians are always available to answer your needs. System failures can involve everything from poor maintenance to aged and worn components. The average HVAC Systems lifespan is often around fifteen years. However with proper maintenance your HVAC system can last longer and run more efficiently, saving you money year to year. 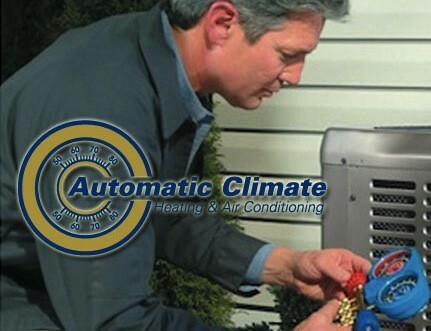 At Automatic Climate we are available 24 hours a day, 7 days a week to help you evaluate your heating system repair. Come and see why over 20,000 Virginia residents trust Automatic Climate for their heating repair needs. Affordable Repairs: After diagnosing your system, your technician will verify the repair and the cost before he performs the work. There are never any surprises at the end of the service! Guarantee: We are the only company in Richmond to offer a One year (365 day) Guarantee on any part we repair. You don’t pay a dime if a part we replaced breaks or stops functioning. Every Make and Model: Our expert NATE certified technicians can repair any heating system regardless of make and model. Award Winning Service: Automatic Climate has won the Angie’s List Super Service Award 4 years in a row in every HVAC related category. We have an outstanding A+ rating from the Better Business Bureau. Customer service is at the foundation of our company. Our preventative HVAC Maintenance Agreements help save you money by ensuring we spot the problem before it gets worse. Get a complete system, service, and maintenance package for one low monthly price. Plans start as low as $8.33/month.